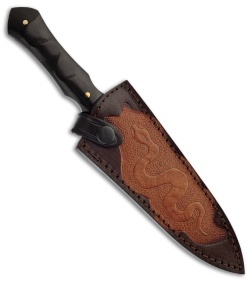 The Death Adder fighting knife from Down Under Knives is quick and nimble like its reptilian namesake. 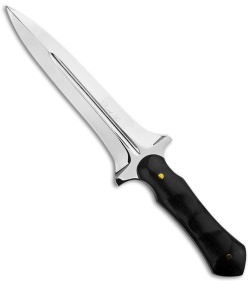 It features full tang 440C stainless steel construction and a uniquely contoured solid ebony handle. 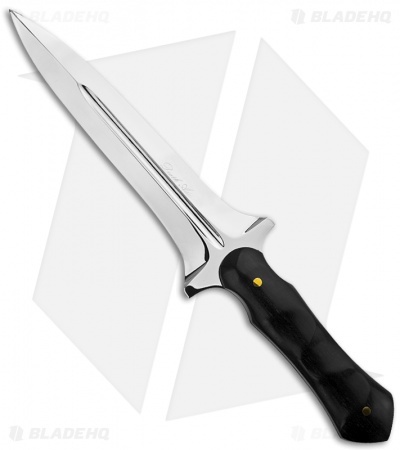 Just like with the Bush Dagger, the securing strap comes off in the same fluid motion you use to grab the dagger, and the positioning of the belt loop guarantees the scabbard will not flex or follow.